A root canal is a procedure that removes compromised vital tissue of a tooth from the central part, reshapes the canal and replaces it with strengthening filler. A cavity is the result of superficial decay of the enamel of the tooth. Left long enough, this decay can burrow into the deeper reaches of the tooth, causing extensive damage to tooth structure. When the damage goes beyond what can be treated with a filling, dentists can perform a root canal, preserving the tooth and retaining its original integrity; thereby, saving a tooth that in the past would have to have been pulled. The tooth is opened to allow for removal damaged pulp. The tooth is filled again with filling material. 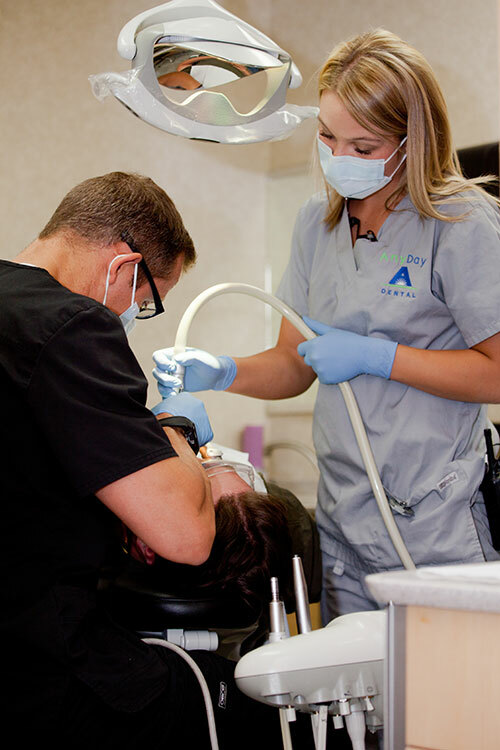 Patients MUST see the dentist quickly for the placement of a permanent crown over the tooth that has been treated with a root canal.